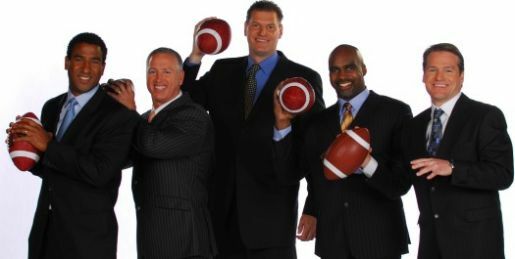 Fans of the Canadian Football League are very lucky – because we get to watch each and every CFL game on TSN. 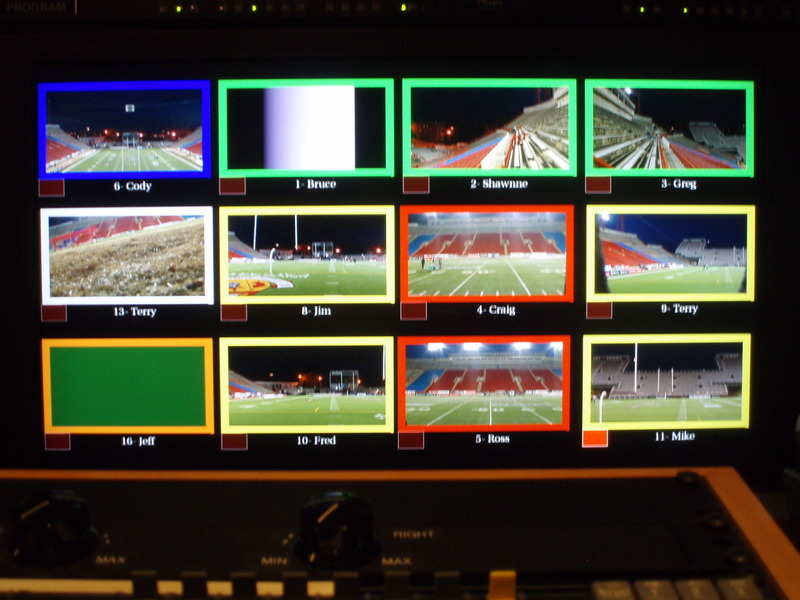 Live production of a CFL game is an extremely difficult task. Trust me when I tell you the game moves lightning quick in the production truck. Far faster than it appears on television. 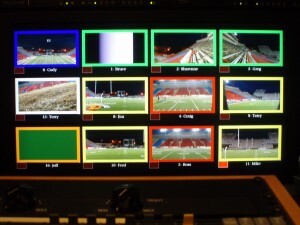 It’s easy to fall into “comfortable” coverage and replay patterns, without really stopping to think, “Are we giving the viewers the best, most informative look at this game possible?” That’s why, when televising any live sport, the entire production crew and commentators must be on the same page when it comes to show philosophy. Here are five things noticed during TSN’s season première from Regina – five things that show why they do a fine job. 1. They use rock-solid game coverage as the cornerstone of their telecasts. There are virtually no bells and whistles. The closest they ever get is using a name super and arrow to identify a player, while sitting on a freeze, before rolling a replay. This is infinitely preferable to CBC’s old “Let’s-see-how-much-money-we-can-blow-on-this-show” theory. It means the viewers get more football. More close-ups. More replays. More information, top to bottom. They even managed an on-field man-count when Saskatchewan was called for too many in overtime. If you are a pure Canadian football fan, this coverage style is unbeatable. This monitor wall shows what the director of a live sports telecast watches for the entire game. The picture that the director selects determines what appears on your screen at home. Directing is an exhausting job. 2. Isolation replays are a rarity. Iso replays follow a single player from play inception to completion. They can be fun to watch, but rarely show you why a play happened. Besides, TSN doesn’t have enough cameras to tie them up with isos. Instead, TSN uses their replays judiciously, to explain what needs to be explained. 3. They don’t overshoot the coaches. Watch an NFL telecast. We see the coaches all the time. Offensive coordinator. Defensive coordinator. Head coach. Way too often. It’s the players who decide the outcome of the game – not their coaches. TSN only focuses on the coaches when the game’s outcome is close to being determined. 4. They build the drama. In TSN’s season opener, last night at Mosaic Stadium in Regina, the game came down to the wire. Veteran commentators Chris Cuthbert and Glen Suitor did a masterful job of keeping viewers on the edges of their seats. They let the pictures tell the stories, especially toward the end of regulation. That is an acquired skill. 5. They ride the emotion in the stadium really well. This is, often, not easy to do. It requires a “feel” for what’s happening in the stadium and on the field – and dovetailing the two. In the CFL, it’s made a little easier because most of the stadia are not huge. Commonwealth Stadium in Edmonton is the biggest, and it holds about 60,000. And the fans in Canada are more overtly passionate than NFL fans – especially when the guys go shirtless in Regina in November. Watch how TSN combines the fans’ emotions and the football game. It gives the viewer a great feel for the energy of the game. Are TSN’s shows perfect? Of course not. Sara Orlesky, their sideline reporter, still seems tentative during live interviews. And they don’t use her on the sideline during the quarter. If she’s there, they should. And their half-time panel sometimes seems to scramble from topic to topic too quickly. Small points. Of course, when the two teams score a CFL season-opener record of 105 points, it’s also a lot easier to produce a great show. 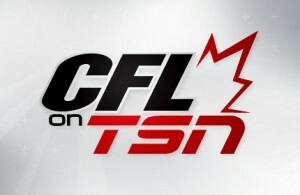 Nevertheless, the CFL on TSN is some of the best live sports television you are going to see. Spoken like a true veteran!